Between work and staying social many of us have some sort of mobile device at arm’s length throughout most of the day. Often those devices need to be charged at least once during the day. However, having to be tied to a cable for hours is usually counterproductive. That’s why I’m sharing 4 reasons to change the way you charge with Samsung. 1. You no longer have to be stuck with the cable and/or charger that came with your device. When you need to use your phone for everything from email to meetings over the phone, being stuck with a 4 to 6-foot cable that you’re tethered to is frustrating. Samsung now has many options that let you charge your device without the cord. 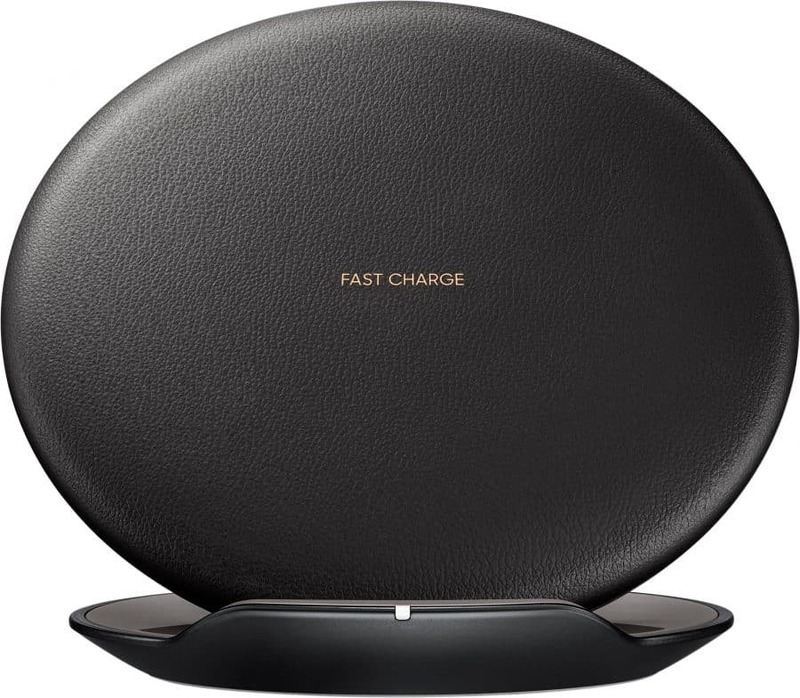 I especially love the Samsung Fast Charge Wireless Charging Stand because I can easily use and move my phone around while it charges and still be able to see the screen easily without holding the phone. 2. You may be able to charge your phone much faster than you’re used to. Newer phones, like the Galaxy Note 5 and Galaxy S6 edge+ and newer models feature fast speed charging. This means you can rapidly charge your devices up to 1.4 times faster than normal. 3. Portable batteries let you charge anywhere at any time. Trying to charge your mobile device when you’re on the go can be a pain or even impossible where you’re at. That never has to be a problem again thanks to portable batteries. Simply plug in your device to charge and keep on going. 4. There’s a large assortment of charging accessories for every phone. There are so many options out there to charge your phone these days. Short and long fast charging cables, battery packs, charging pads, multiport chargers, and more. Head over to BestBuy.com to see what’s available and also save up to 20% on Samsung charging devices through November 4, 2017.